Ever since an über-strong U.S. dollar crushed the export sector in the mid-1980s, the U.S. economy hasn’t looked quite the same. Exports picked up towards the end of the decade, helped along by the G-7’s historic 1985 powwow at New York’s Plaza Hotel, which led to a coordinated effort to slam back the dollar. 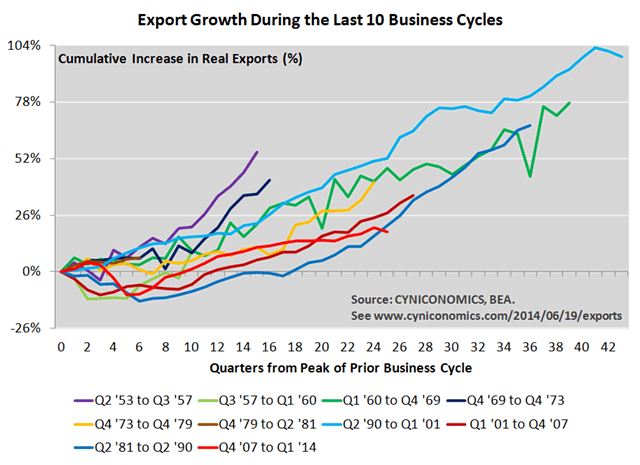 Nonetheless, some export industries never fully recovered. Fast forward to the present, and export performance may soon be as noteworthy as it was 30 years ago. Risks to the global economy (and exports) include turmoil in oil-producing nations, credit markets that are teetering in China and comatose in Europe, and the backside of Japan’s April sales tax hike. 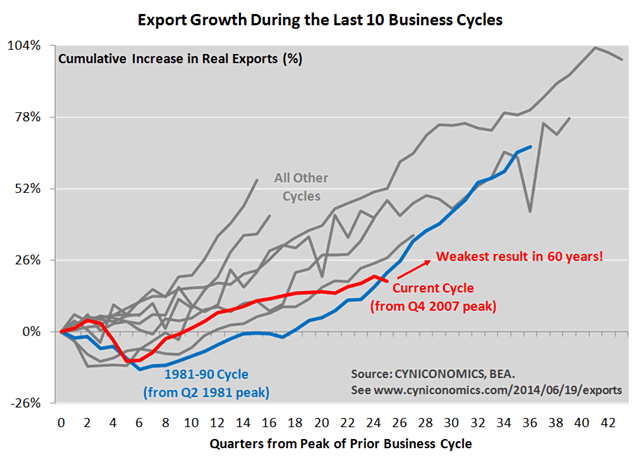 The chart shows that exports are no longer distinct from other parts of the economy (nearly all of them) that haven’t measured up to a “normal,” credit-infused, post-World War 2 business cycle. 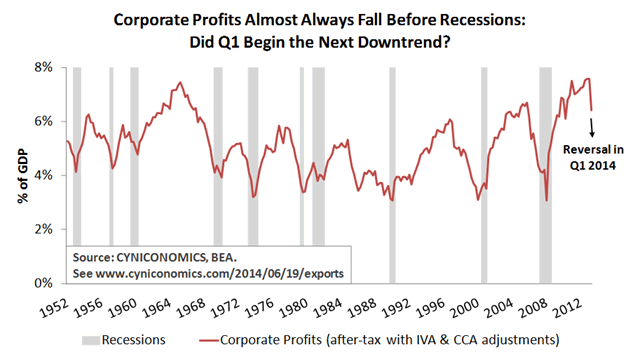 Nonetheless, export performance bears watching, and especially as the first quarter’s result mirrored a big drop in corporate profits. Falling export volumes surely contributed to the weak profits result.